With Two Color Neon Header and Heavy- Duty Equitemp Steel Kettle. Most of the details on performance and construction are shown in the description under the Astro 16, shown at right. 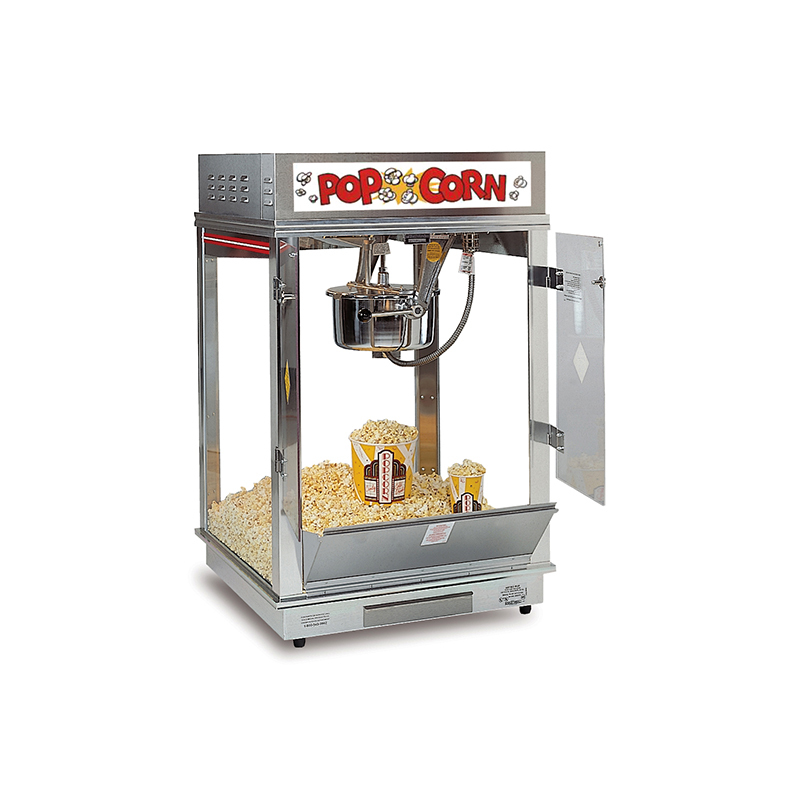 This counter model machine is a real work-horse – large 28" x 28" (71 x 71 cm) cabinet gives almost as much work room and as much display room as the larger theatre models. Add in the merchandising capability of the neon header and you have gold mine potential for your concession stand!